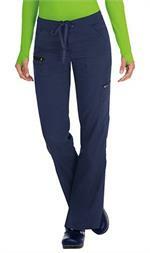 This Koi Lite performance stretch pant has breathable, moisture-wicking fabric that keeps you cool and dry. The unique performance stretch moves with you yet keeps its shape. 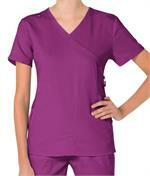 It is lightweight and soft, but extremely durable and wrinkle free. Features drawstring waist, contrast tape at back waistband facing, multiple pockets, and stylish rib knit trim at side pockets. Made of 100% polyester dobby stretch. 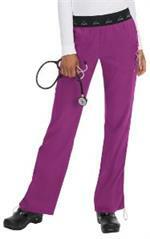 Rib trim made of 92% polyester, 8% spandex.